Growing backlash against Dolce & Gabbana in China has led Hong Kong-based luxury department store Lane Crawford and Yoox Net-a-Porter Group, the world’s largest online luxury goods retailer, to announce that they will no longer carry the Italian brand, effective immediately. The news comes on the heels of a controversy following allegations of racism against both the brand itself and co-founder Stefano Gabbana; Chinese e-commerce platforms including Alibaba, JD, Secoo, VIPshop and NetEase have all dropped Dolce & Gabbana as well. The fast-moving controversy began this week when three videos promoting D&G’s massive fashion show in Shanghai hit the brand’s Facebook, Weibo, Twitter and Instagram accounts. 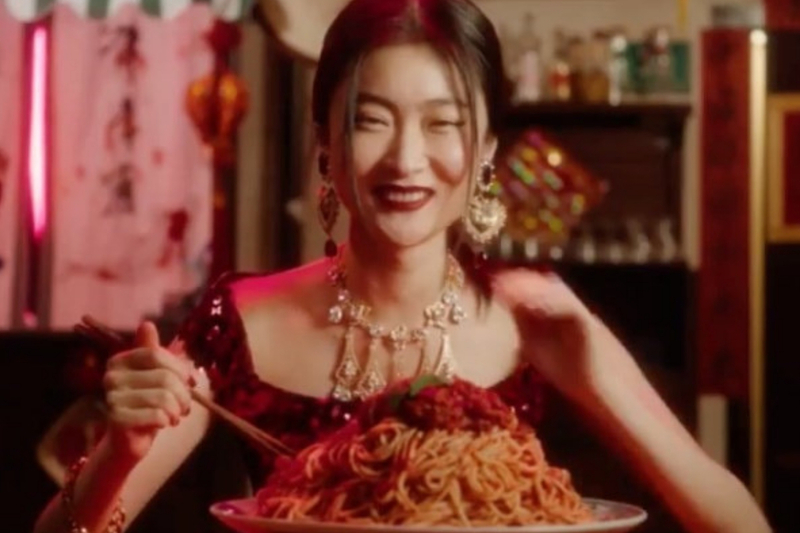 The videos featured a Chinese woman struggling to eat spaghetti, pizza and cannoli with chopsticks, sparking outrage on the Internet with Chinese consumers who were offended by racial stereotyping and an off-putting tone that came across as more offensive than playful. Further accusations of racism followed after screenshots of messages sent from Stefano Gabbana’s Instagram account were uploaded. The messages appeared to show the designer defending the show’s promotional videos while contributing to racial stereotypes through the derogatory use of an emoji to describe China. As the videos and Gabbana’s alleged messages went viral, Dolce & Gabbana released a statement claiming that the brand’s and Stefano Gabbana’s Instagram accounts had both been hacked. The brand was forced to cancel its Shanghai fashion show after famous Chinese celebrities Zhang Ziyi, Chen Kun, Li Bingbing and singer Karry Wang Junkai announced that they were pulling out of the event. Chinese consumers, meanwhile, have made their outrage known far and wide, posting videos in which they destroy the brand’s products all over social media. Since then, the news has spread around the globe and outraged people in many countries, leading to an ever-growing crisis which prompted the newest announcements from Lane Crawford and Yoox Net-a-porter Group. What happens next, only time will tell.